Forest certification is a mechanism for forest monitoring, tracing and labelling of timber, wood and pulp products and non-timber forest products, where the quality of forest management is judged against a series of agreed standards. Credible forest certification covers much more than just logging and harvesting practices but also accounts for the social and economic well-being of forest and plantation workers, local/upland communities, transparency and inclusiveness in the planning, implementation and decision-making process. Forest certification is largely seen as the most important initiative in the last ten years that aims to promote the best sustainable forest management practices. Sustainable forest management is a key component for a future where people can live in harmony with nature. Forest products are renewable which sets them apart from other natural resources. It is therefore important to note that the sustainable use of renewable forest products can generally help provide forest dependent communities with shelter, fuel, medicines, livelihood opportunities and other services… on top of providing a home for the numerous flora and fauna. Improving forest biodiversity is a critical component in climate change mitigation initiatives. Prohibiting the use of forest products is not a viable solution as it hinders on socio-economic considerations for forest-dependent communities. 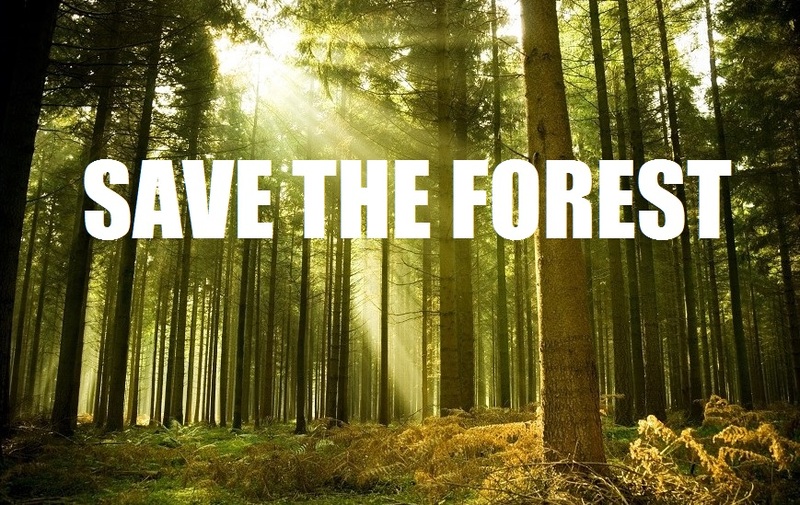 As an alternative, sustainable forest management practices is the key concept which forest certification is promoting. Forest certification, however, will only work when the system includes (1) a comprehensive management standard, (2) a rigorous control mechanism and (3) a broad involvement and participation of economic, environmental and social stakeholders. Sustainable and responsible forest management together with a credible and acceptable system of forest certification plus sound regulations and legislation may be the perfect combination of solutions to our declining forest cover. At present, there is a wide spectrum of forest certification systems and schemes. The World Wide Fund for Nature (WWF) --- an international non-governmental organization, founded on April 29, 1961 and based in Morges, Switzerland, working in the field of biodiversity conservation and preservation and the reduction of humanity’s footprint on the environment --- considers the Forest Stewardship Council (FCS) to be the best forest certification system as it provides for environmentally responsible, socially beneficial, and economically viable and sustainable forest management international standards. On the other hand, the Programme for the Endorsement of Forest Certification (PEFC) --- an international non-profit, non-governmental organization based in Geneva, Switzerland, dedicated to the promotion sustainable forest management through third-party certification --- is largely viewed as the international body that assists local forest certification systems craft their own domestic standards. On the 1st of March 2016, under the guidance and sponsorship of the PEFC, the National Governing Board of the Philippine Sustainable Forest Certification (NGB-PSFC) system was formally launched and organized through the signing of the Framework Agreement. The forest certification initiative may not be the generic solution to our dwindling forest resources but this, together with consistent law enforcement, rationalization of the wood industry and DNA mapping, could provide an ideal framework in our effort to save the forest. Total logging bans are often used by governments all over the world to curb, check and restrain illegal logging activities and to better manage and preserve their forest cover and the ecology of the landscape. There is, of course, a certain degree of uneasiness on whether this is the right thing to do. The question still persists whether or not other initiatives available to total logging bans. 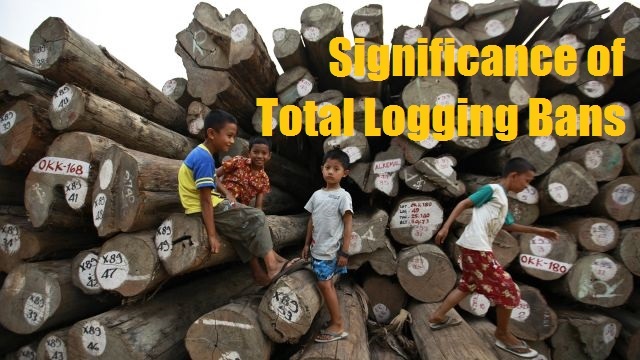 It becomes critical, therefore, that total logging bans are studied too. The forest in the Philippines is very rich in biodiversity. The numerous flora and fauna that could be found in tropical rainforests is due to the constant high temperature and humidity which characterize our normal weather condition. It is unfortunate, however, that many forests are threatened due to deforestation… and deforestation is caused by irresponsible logging activities. It is important to mention, at this point that logging in the Philippines is perceived as an “illegal” activity and anyone who is involved in the wood industry is an “illegal logger”. Forestland largely form a sizeable part of landscape ecology. Deforestation is the single, most negative, factor that affects landscape ecology. A total logging ban, therefore, is also a big influencing factor in the ecology of the landscape. Preserving our last remaining forest cover is imperative to ensure quality life on our planet for the next generations. 8. Provide a new framework on the effects of total logging ban in the ecology of the landscape. Reforestation should be an integral part of timber utilization. Trees also have a lifespan and when trees die, the unutilized wood will decompose and return to the atmosphere in the form of carbon. Carbon sequestration or biological sequestration can only happen when trees are felled in their maturity. Premature harvesting of trees without the corresponding replenishment, through reforestation, is the single-biggest cause of forest cover loss. But is the declaration of total logging bans the only alternative? Or are there other options? I firmly believe there are. 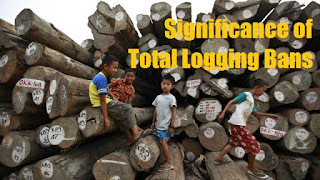 And, if there are, what then is the significance of total logging bans? 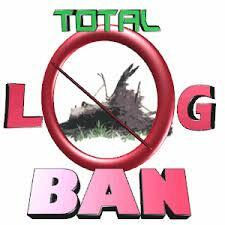 In my never-ending research for subject matters to blog about, I chanced upon this poster that says: “total log ban”. (Please see accompanying image.) How many times have you read this statement “total log ban”? You’ve probably read it from newspapers describing a declaration or imposition by government. Or a pro-environment advocacy group lobbying for it or evangelizing about it… a “total log ban”. Sadly, however, the statement is simply wrong! Let’s define the statement, “total log ban”, word for word. The word “total” means complete, absolute or comprising the whole number, amount or volume of a given unit. A “log” is a part of the trunk or a large branch of a tree that has fallen or has been cut off. Please note that the growth of a tree is a natural process and phenomenon. The word “ban” means officially or legally prohibited. So, therefore, putting these definitions together, how can something that is a natural product like a tree (specifically the trunk and branch) be officially and legally prohibited (banned) from growing? This just doesn’t make sense... or downright stupid! What would make better sense is tweaking this statement (therefore, “total log ban”) to “total logging ban”. In this case what we are officially and legally prohibiting or banning is the act of logging. Logging is defined as the activity or business of felling trees and cutting and preparing the timber for utilization and conversion to other wood products. In this application “logging”, as an activity, can be banned officially and legally by an authority. The use of “log” over “logging” may seem like ordinary and insignificant semantics (meaning: the branch of linguistics and logic concerned with meaning) but wouldn’t it be ideal to use correct words to describe specific issues and concerns? Let’s do everyone a favour, it would not be rude to gently correct others when they use the statement “total log ban”. 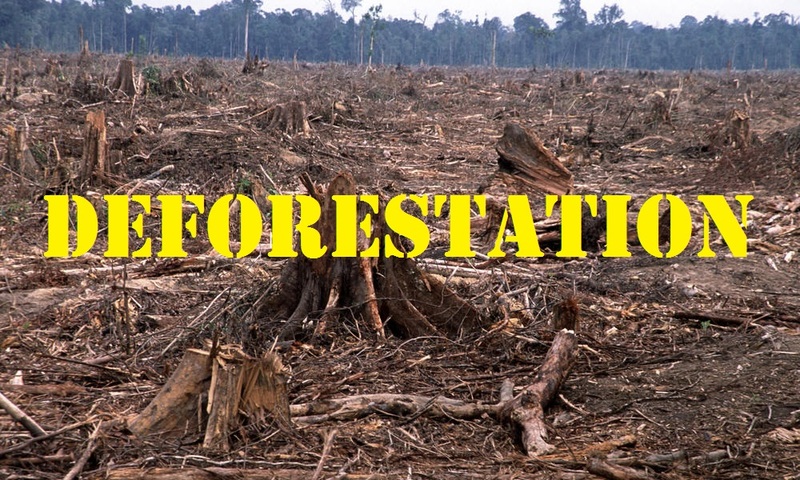 There are several (even confusing) data and statistics on the annual rate of deforestation from various sources. More than establishing the deforestation rate, it is more important to acknowledge that deforestation happens every year. And above all is the further importance of curbing, for the sake of future generations, deforestation. The single-biggest cause for the depletion of the world’s forest cover is the illegal harvesting and trade of timber products. This is not only a domestic problem of individual countries but a worldwide problem. The European Union and the United States, in an effort to eradicate the international trade of illegally harvested forest products, have started to be strict in importing wood --- especially tropical hardwood --- without due certification from their true origin. The ITTA, however, could only be effective if the governments (particularly the ministries and departments in charge of protecting forest resources) of individual countries do not connive (meaning: secretly allow something considered immoral, illegal, wrong and harmful to occur) with illegal loggers and traders. 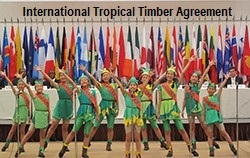 Otherwise, this international accord will be useless; the International Tropical Timber Agreement. It is common knowledge that approximately 71% of the earth’s surface is covered by water and the oceans and seas hold about 96.5% of all earth’s water. These staggering data on the volume of water around us makes dumping of waste in water bodies, which will subsequently result to marine pollution, is a very critical issue and concern. Towards the end and purpose of protecting our oceans and seas, the MARPOL 73/78 was conceived. The MARPOL Conventions are quite hard to implement considering the vastness of our oceans and seas. There are just too many ships out there that makes monitoring very daunting. The success of the MARPOL Conventions will depend largely on the degree of commitment from individual countries who are participating in this initiative. We could only wish and pray for the success of MARPOL 73/78. Aside from birthdays and Christmas, the other more anticipated event in everyone’s life is Valentine’s Day. But what exactly is Valentine’s Day? Why is Valentine associated with falling in love romantically? One thing for certain in life, aside from death, is falling in love. 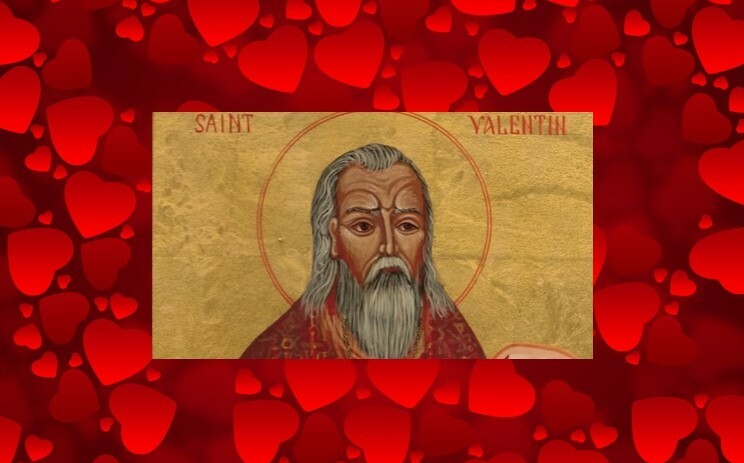 And an integral part of falling in love is Saint Valentine and Valentine’s Day.